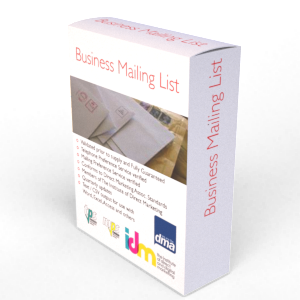 The very latest business types list that can be used for direct marketing including Sales & Marketing. We strongly recommend this list of business types over the SIC code list as this list is more defined (to a micro level) and is driven by industry - i.e. if there isn't a business heading to describe what a business does at grass routes then a heading is created for the unique business (there needs to be a strong business case for this to happen). This business types list of 2,700 business types range from Abattoirs to Zoos - every conceivable business activity that can be associated to a business in order to describe what it does - far more than the verify confined list of 500 SIC codes! If however you're looking for the SIC codes list then you can find that on this site too. We also have the conversion from UK to USA SIC file. The business types list is sent automatically as CSV so can be read / opened in Word, Excel, Access and just about every other desktop application. The list is free and can be downloaded from our site. Please note that although this is a free file we still ask you to respect copyright. Don't worry, if you don't have the time or can't see what you need then let our team do the work for you - for FREE. We have thousands of other lists and over 40 years experience so why not simply tell us what you're looking for?